Can you believe tomorrow’s officially the start of spring? 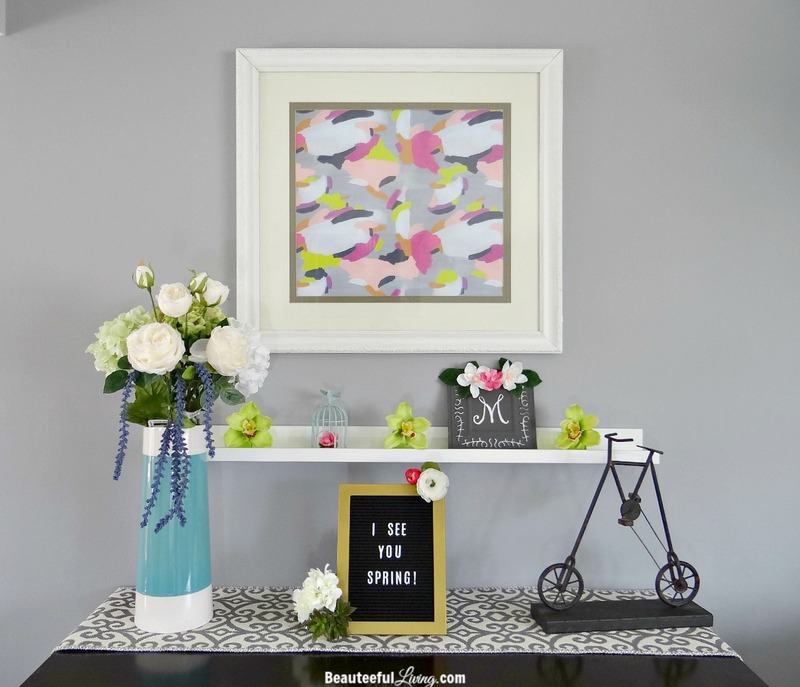 Although we’re not in the temps that would be ideal for spring (currently high temps in the 40’s), I’ve decorated our mantel (aka sideboard) with spring in mind! Since last year, I’ve been participating in the “Decorate Your Mantel” series hosted by the lovely Amy from My Life from Home. 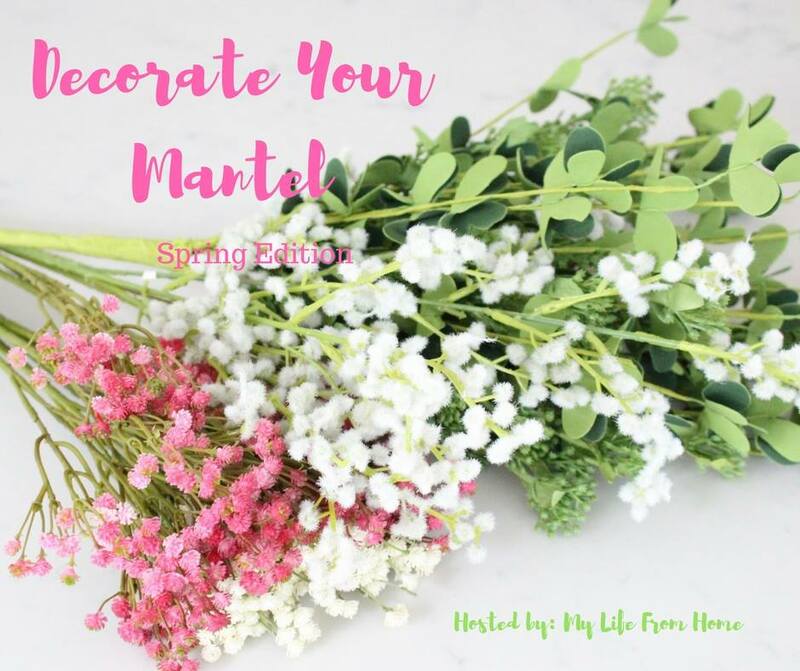 Don’t forget to check out the amazing spring mantel displays from my talented blogger friends, at the end of this post. 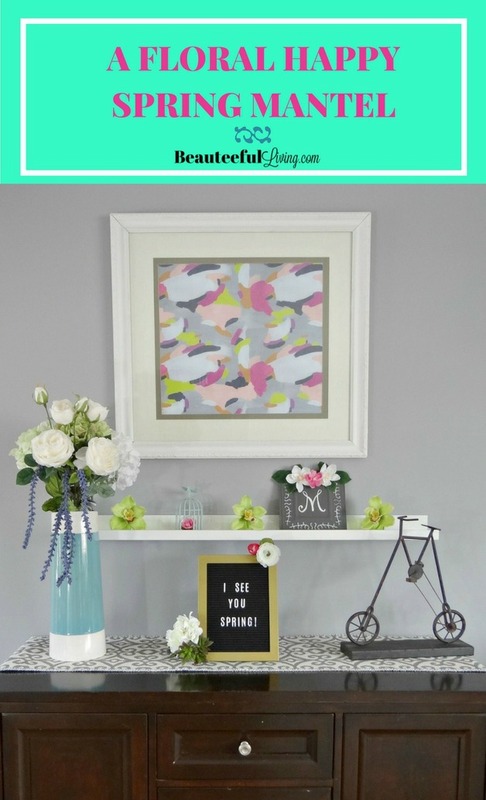 In today’s post, I’ll show you some of the decor I’ve added to our sideboard to give it a spring-themed look! Affiliate links are provided below for convenience. For more info, please see my full disclosure here. I created this monogram letter sign last week out of a metal plate I purchased from a local Arts and Crafts store. 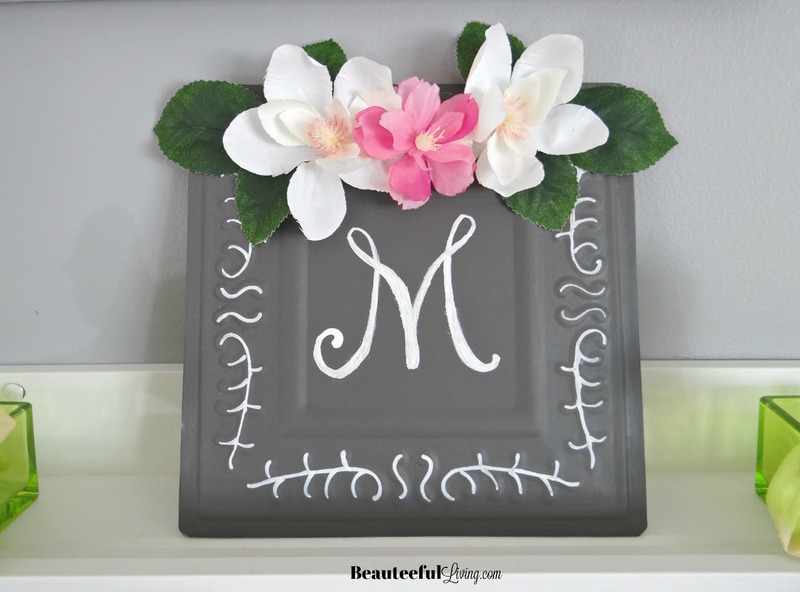 I painted the metal with chalk paint before adding faux-fabulous flowers. 🙂 The “M” was hand painted with a white chalk marker. What do you think? I’m really pleased with it. Something tells me I’ll display it way past spring! Would you believe I snagged the birdcage below for around $3.00 at Walmart? I added the moss and silk flower to give it a little more personality. 😉 Definitely doesn’t look like a $3.00 item! Those silk flowers were purchased from A.C. Moore along with those purple-colored heather spray stems. 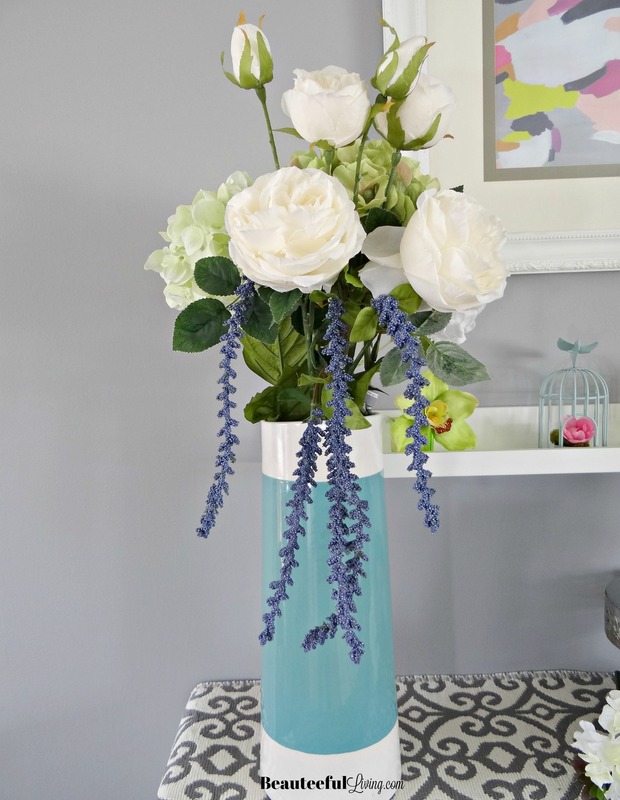 This bouquet looks perfect in that turquoise colored vase from West Elm. “I See You, Spring.” Let’s hope this statements gets Mother Nature to bring on spring-like weather ASAP! I really love all the colors in this art print that I purchased from Papersource. 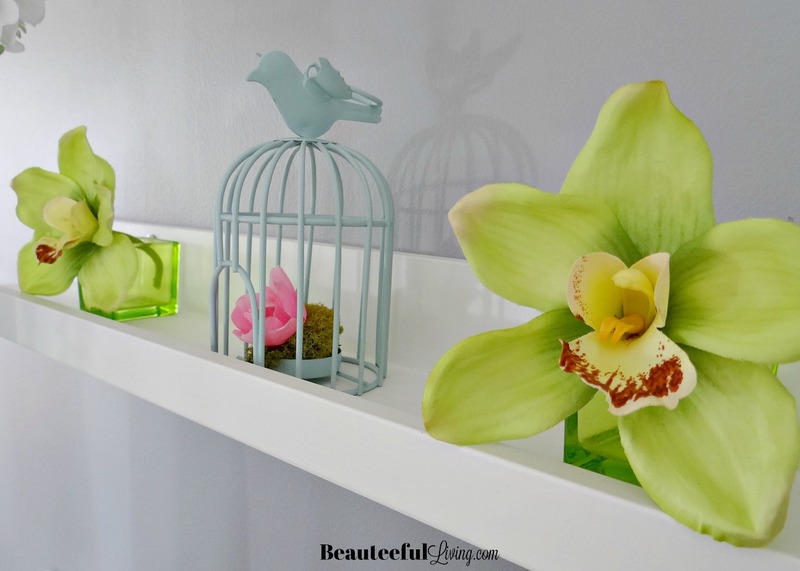 Coincidently, the green in the print matches exactly with the color of the faux orchids featured below. Here’s the full view showing more of our sideboard table. So pretty Tee! I love that letter board and your quote 🙂 Hope you are having a good week! 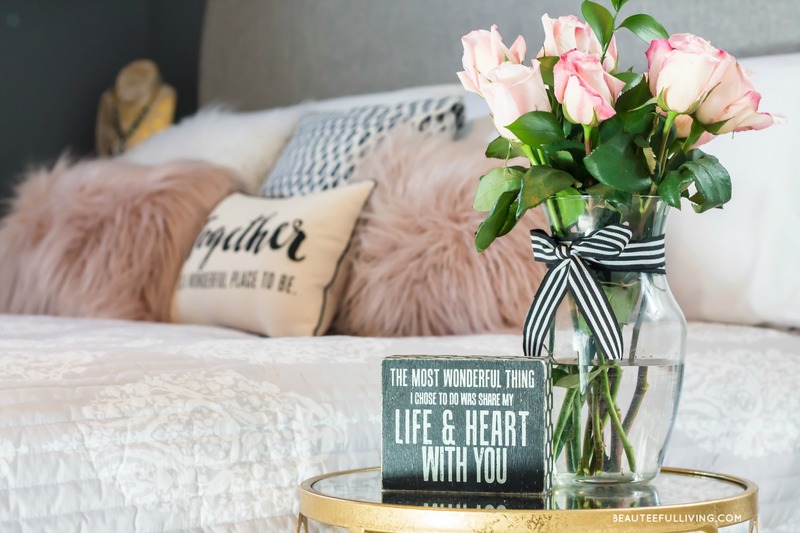 I love love love all the color and florals! And that print is gorgeous! You did an amazing job on that M, too, by the way. My free handing looks like a preschooler. Haha! I adore letter boards and this is super cute! The whole thing looks so happy and fresh! Love your pretty Mantel. I’m obsessed with letter boards and your quite is so fun! Bring on Spring! So stinking cute!! The art print from Paper Source is awesome. That is one of my favorite shops. 🙂 And your letterboard is so cute! Great work, Tee! yikes, sorry your weather is still so cold! love the spring in the mantel, though! 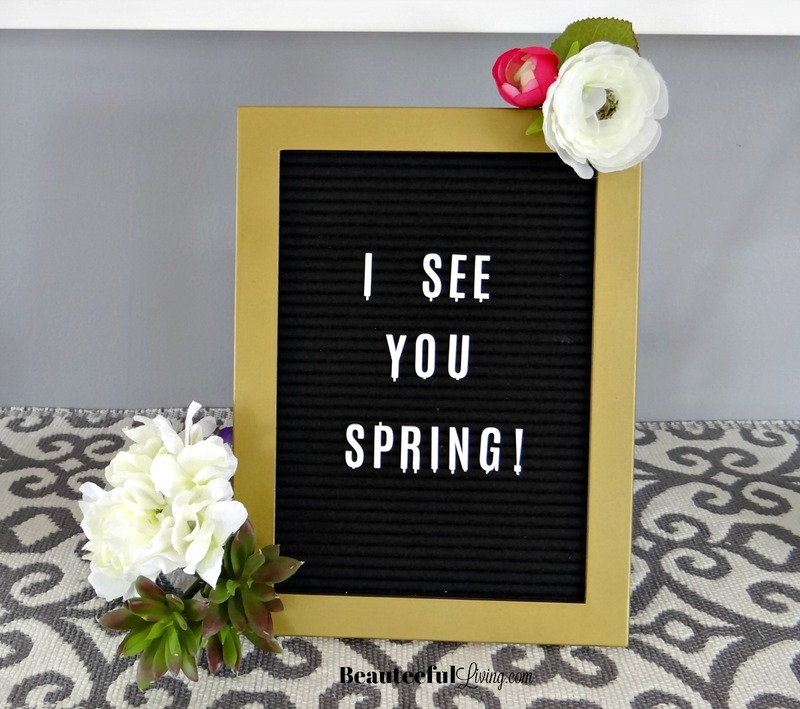 Haha, I love that “I see you spring” letterboard – how fun! And that bird cage is too cute! 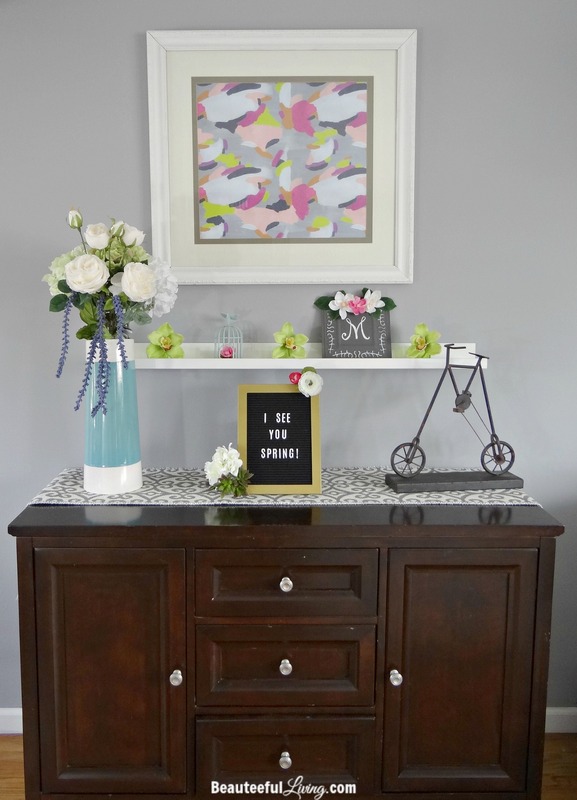 Tee – your sideboard mantel is so colorful and lovely! 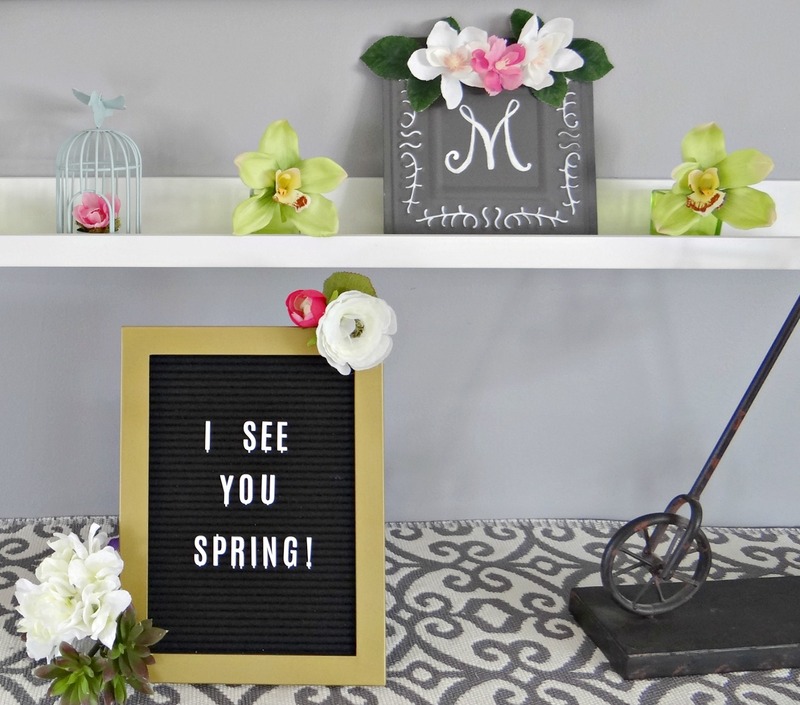 Your combinations of colors are a perfect spring statement – just like your letter board sign! So cute! Happy spring!